Medal: No, but we did get a t-shirt and goody bag. 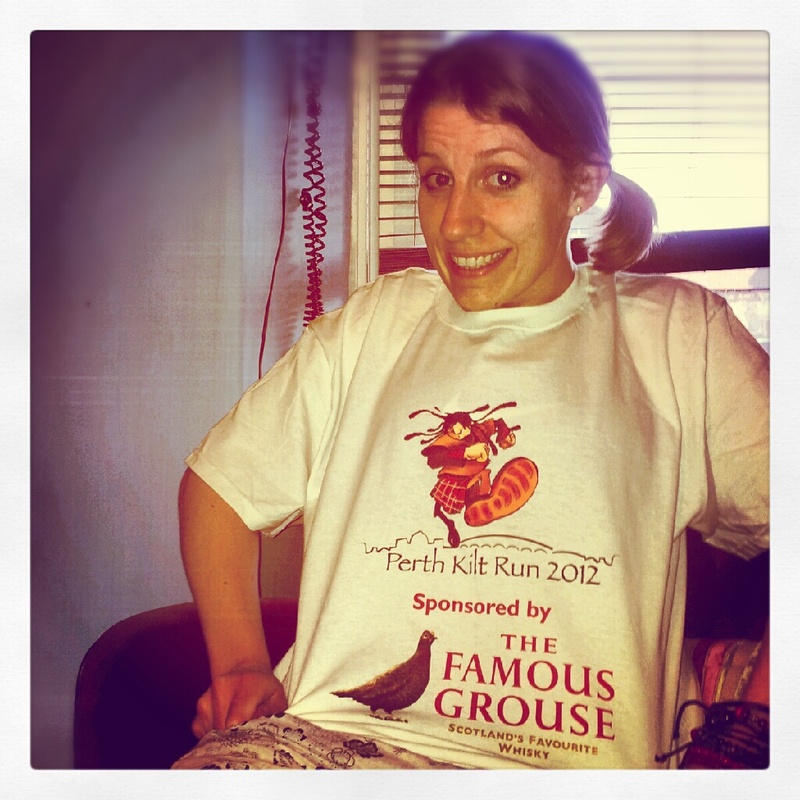 Relaxing in my new Kilt Run shirt! The Perth Kilt Run was an attempt to break the world record for kilted runners. Perth, Canada, set the record with 1,096 runners, and, sadly, today we fell short by just 16 runners. While that was a bit of a shame, it was a great day out, and an amusing run! Though I admittedly dozed most of the way, I did notice a kilted man walk onto the train at Carnoustie. When we arrived in Perth, I thought ‘he looks like he knows where he’s going, let’s follow him!’ And so I did. When I arrived at registration, I pinned my number on, attached my timing chip, and had a lovely chat with some old ladies in the loo before I checked my watch and realized I had aaaaaaaaaages until I told fellow blogger and Kilt Run participant, Danielle, I’d meet her. Good thing there was a Jubilee Weekend celebration on, then! 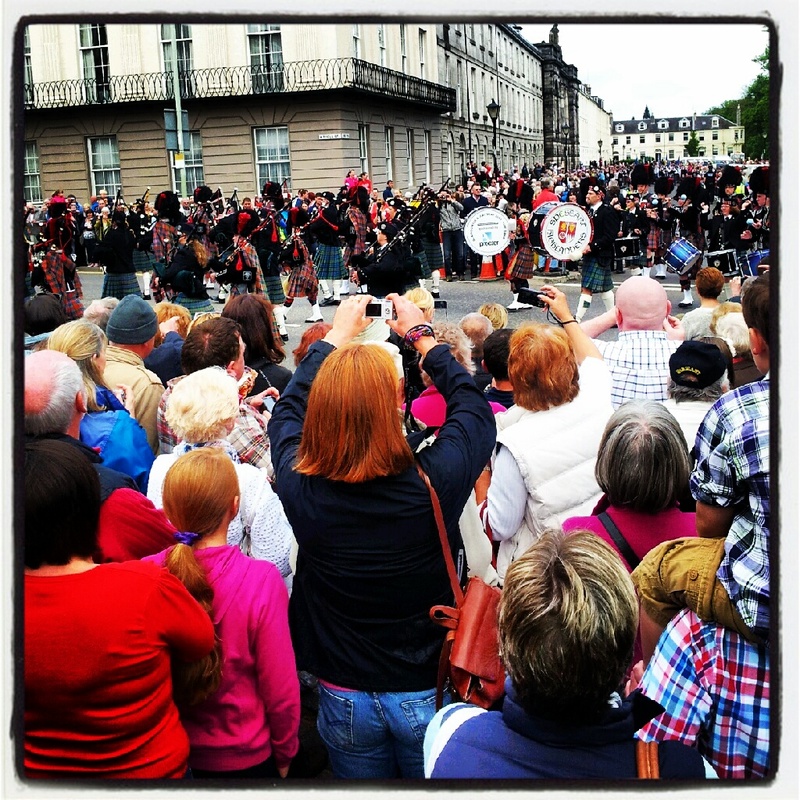 I headed towards the park where I realized the 1,000 pipers were about to set off on parade. The place was absolutely packed! After soaking up the atmosphere for a bit, I headed back to registration where I found Danielle and her husband, who decided to just run the 5 mile course on a whim! It was the first time I had met Danielle in person, having previously only spoken via blogs/twitter, and I’m pleased to say she was just as easy to talk to face to face. It turns out we have quite a lot in common, and it was really nice to bust out some ‘American’ English and not have a confused face staring back at me! While her husband was buying trainers, socks and shorts so that he could join in, we got a photo with the Famous Grouse and spotted cyclist Mark Beaumont, who is kind of a big deal in Scotland, and who was also running. Half past one arrived before we knew it, and we started getting in place behind the start line. We found a small group of Canadians that had flown over for a week who were running! That’s some dedication! At two, there was a countdown from 5 and everyone – slowly- started shuffling along. The course was pretty crowded for the first half mile, and I even passed the Grouse making impressive speed (considering the weight of the thing). The crowds at the sides of the route were impressive – I wasn’t expecting so many people! There were also plenty of kids with their hands out for high fives. One cheeky bugger moved his away at the last minute with the classic ‘You’re too slow’!! The hardest bit about the run, apart from wearing a woolly kilt in sunshine, was the fact that you had to pass the finish line and do a final lap. It’s so cruel to show the runners where they’ll be …. eventually! But we all eventually made it to the end, picking up some well deserved water, jelly beans and a goody bag with the event t-shirt. And then we hit the beer tent for a pint! When the beer was gone and our bags were collected from the local leisure centre’s lockers, we set off, just catching the replica Spitfire flying over the crowds. 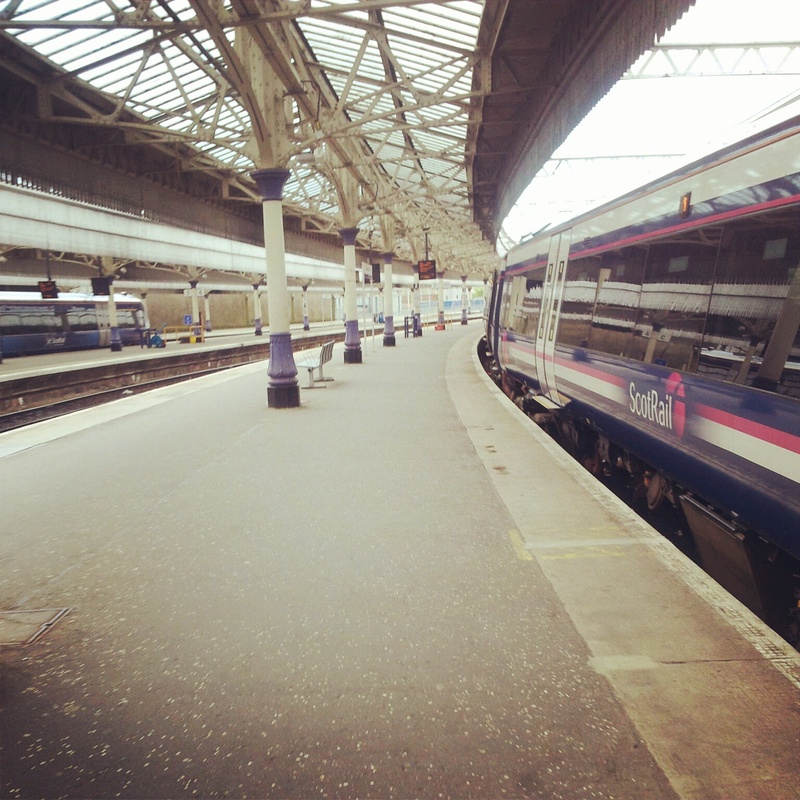 It was a finisher’s sprint to the train station for me (too much time in the beer garden chatting!) and I made it to the platform with 6 minutes to spare before my train set off. Another dozy train journey behind me, I met Ian for dinner at Nando’s (because Danielle mentioning it earlier had made me crave it)! I also treated myself to a very fancy Camelback that will hopefully come in handy during my long runs for my marathon training. It’ll also be useful for climbing any munros this summer. And now? Off to bed so I’m well rested for my 6 mile run tomorrow (at a much slower pace, thankfully). And as for the world record? There’s always next year! 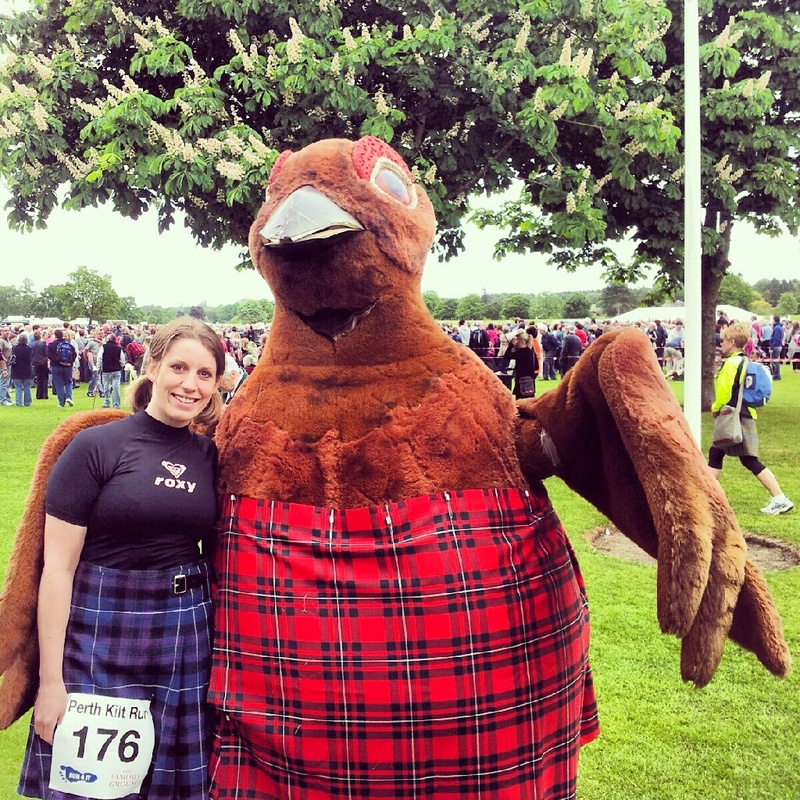 This entry was posted in Races, Running and tagged kilt, perth, perth kilt run, run, running, Scotland by MedalSlut. Bookmark the permalink. Ha ha, he did. I think it must have had something to do with being starving after emptying the contents of his stomach when he was gliding. He said he only managed 14 minutes in the air!! Which Mark Beaumont? The super-cool “guy who cycled the world” (probably, since he’s from Dundee) or the super-cool “guy who goes down mountains really fast” mountain biker? Sod it – either way, I wish I went now!!! Next year for sure though. Looks like it was brilliant. Super cool cycled the world guy! I finished just after him – he carried a shield the whole way through! 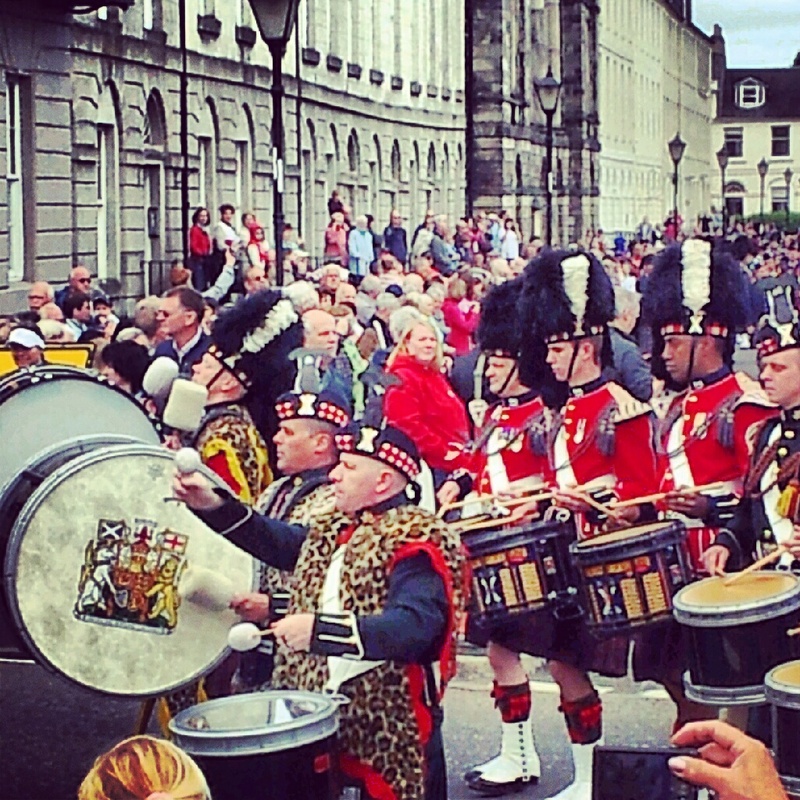 If you look at the Kilt Run page on facebook, they’ve uploaded some photos from the event. He’s the one with the shield (obviously) and the blue painted face. Great job, RACHEL! (Sorry about calling you the wrong name for forever). Bummer about not getting the record! They should have recruited some of the bagpipers. The kilt looks kind of awkward to run in (though you look very festive in it!). I was looking at the website (you know, in case I ever decide to run it), and they are very clear that the kilt has to be authentic. No slutty kilts allowed! Don’t worry about the name – some of my friends call me Raquel as a nickname, so I respond to both! Oh, and the thing was awkward as hell to run in. It kept swiveling around and twisting my shirt. 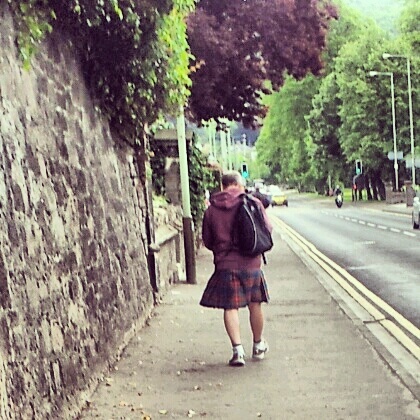 But that’s what I get for buying a cheap tourist kilt in Edinburgh the weekend before that doesn’t fit properly! Running in a kilt sounds miserable!! Makes for some great pics!